FORT WORTH — In commemoration of the 50th anniversary of the Diocese of Fort Worth, Bishop Michael Olson will sign Beyond the Frontiers of Faith by Jerry Circelli, the book detailing the 500-year journey that led to creation of the diocese. 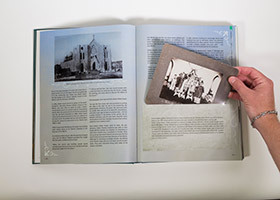 The beautifully-designed book includes mementos from across the years to help you learn about the intrepid journey that brings us to this anniversary. 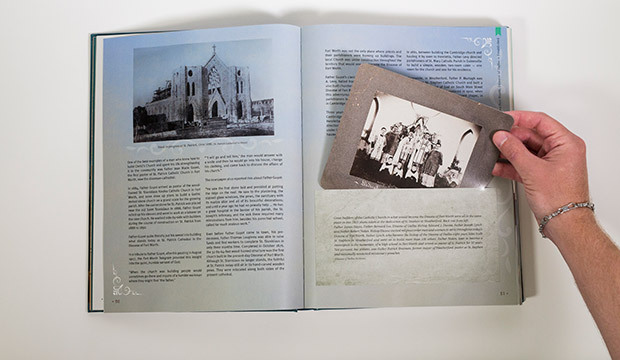 From the early beginnings with the arrival of the first missionaries in Texas to the explorers who sought riches and the friars who wanted to save souls, this 316-page, richly illustrated, hard cover book tells the story of how our present diocese became a reality.